This program covers sexual harassment and other forms of harassment, our award-winning online eLearning course is an easy-to-manage, comprehensive tool for meeting harassment training requirements. This training course covers sexual harassment and other forms of harassment, our award-winning online eLearning course is an easy-to-manage, comprehensive tool for meeting harassment training requirements. Three of our best selling compliance videos have been bundled together to save you 20% off the individual purchase prices! Let's Get Honest, In This Together and Moment of Truth address a variety of issues from Sexual Harassment to ethical dilemmas. 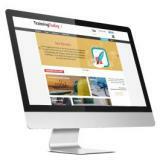 All 3 create a powerful training package sure to enhance your compliance training curriculum. Don’t stand by and wait for a costly lawsuit—or one or more damaging public accusations. Instead, use this popular on-demand webinar on how to address, and end, sexual harassment in the workplace.